What’s worse than the threat of terrorist violence on English soil? The possibility that the brains behind the plot is a mole who’s infiltrated MI5. In the year since Liz Carlyle (At Risk, 2005) recruited Sohail Din, aka Marzipan, the student who put off law school for a year to work undercover in a North London bookshop has provided her with consistently good information on the shop’s mostly Arab clientele. So she’s especially uneasy when he reports suspicious behavior that may portend a suicide bombing. 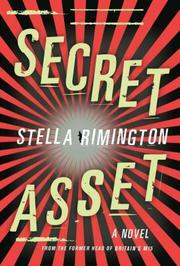 Can her secret asset’s judgment be trusted? She soon learns to her sorrow that Marzipan is more trustworthy than at least one of her Intelligence colleagues. When two attempts to capture the three likely conspirators both come up empty, it’s obvious that they’ve been tipped off. And the only people who knew of both attempts are the Counter-Terrorist elect of MI5 and MI6. Another informant reveals the presence of an Oxford-educated sleeper in Intelligence recruited by a dying IRA agent 15 years ago but never activated. Appointed to root out the sleeper before he awakens, Liz begins by asking which of the possible turncoats attended Oxford. When that question reduces the number of suspects to five—Home Office liaison Patrick Dobson, head of bugging and burgling Michael Binding, globe-trotting investigator Tom Dartmouth, retired agent Stephen Ogasawara and Liz’s old friend Judith Spratt—she tries to find out what their former teachers can say about them and what connection each one might have to the IRA. All too soon, though, these background questions are upstaged by a much more urgent riddle: Where will the mole’s terrorists strike, and what can Liz and her loyal mates do to head them off? The mixture as before: slow to start, but with whiplash control of momentum that raises your pulse a heartbeat at a time until the climax.